← One out of three….Where am I? The long lost kitty. As a baby this guy was gone one day. Since there was a bear in the area at the time I figured it was eaten. It just wondered up one day like it was suppose to be here. It avoids me but still for a wild one I can get a couple feet from it. Seems like a mellow kitty. 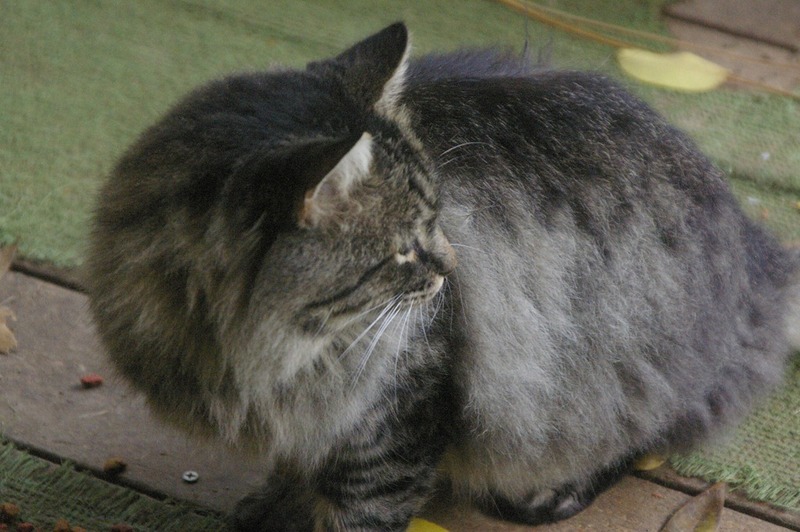 Her sister Tiggers come over and checks her out, my other long haired kitty.